After 6 weeks of being in India with 90 people around, sometimes is nice to have some peace and quiet. 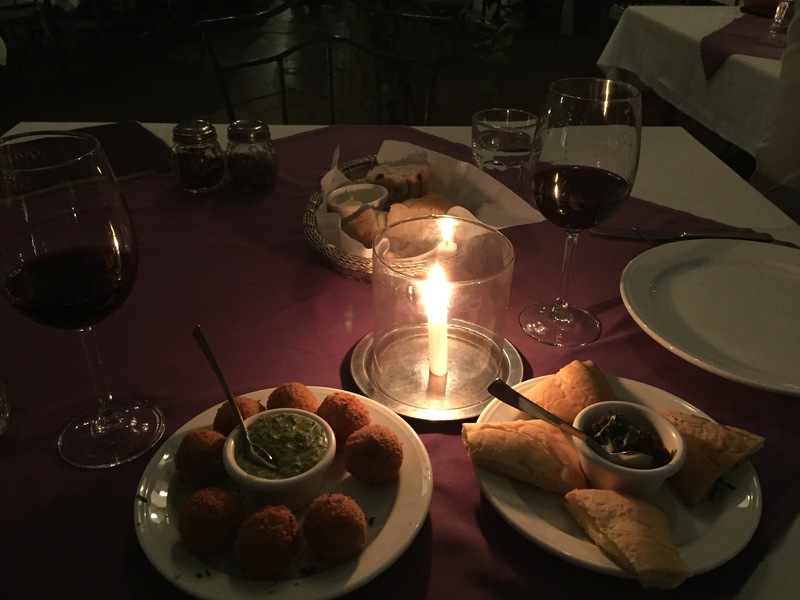 Visiting a vegetarian italian restaurant and washing the food down with local red wine in a secluded place is just the thing to do. Que tal la versión india de la comida italiana?